Chris Lovell directs North High students, from left, Elizabeth Treto, Jaylene Deleon, Lyly Le and Emily Truong as they rehearse ahead of the Beatles-Stones showdown concert Tuesday. Two different tribute groups — Satisfaction and Abbey Road — will represent the bands onstage, with students from North High providing the backing strings on some songs. Byers admits she's unsure of why the school's string quartet was sought out to participate. "We got to look through the music and we said, 'Yeah, we can do that, sure!' It's just been kind of a whirlwind since then." Soon after, Byers began a search for talented orchestra players. "We looked at the kids that we have that take private lessons. We looked at the kids that we have that are involved in honors orchestra programs around the city," she says, "and looked at kids we have that we could be able to pull together and have time commitments to stuff that we would work out, and so we chose these four." 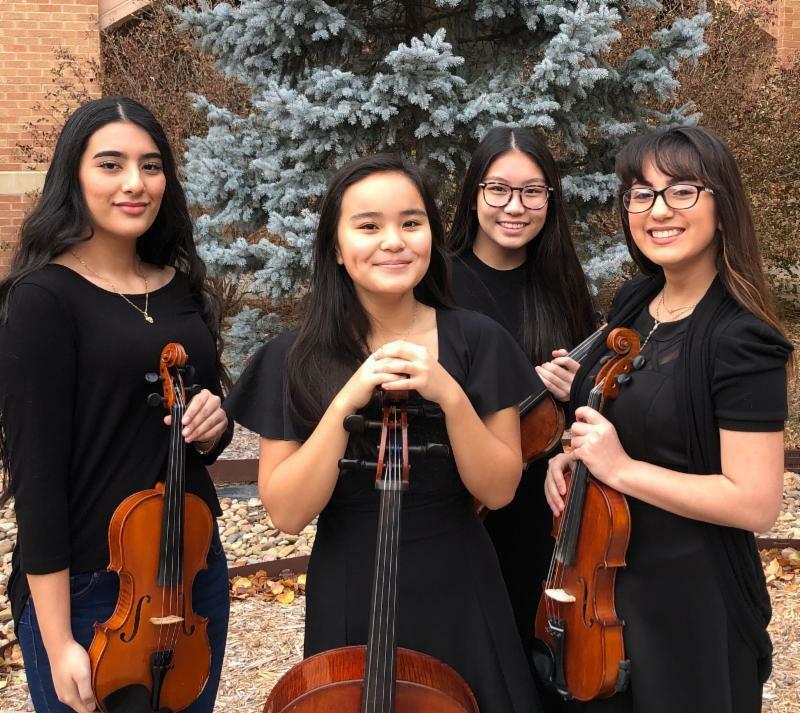 The quartet is made up of sophomores Elizabeth Treto and Jaylene Deleon on violin, freshman Emily Truong on viola, and freshman Lyly Le on cello. "I originally thought I was going to play violin going into sixth grade," Le says, "but my orchestra director gave me the cello, and so far, I really like the wide range it has." Treto says the excitement for playing at this concert is huge. She says not everyone gets the experience of playing at the Orpheum. "We got chosen for this. There's only four out of the whole. A lot of kids could have been chosen," she says. "It's just luckiness, I guess." Chris Lovell is the associate director of orchestra and band at Wichita North High and also teaches orchestra at Hadley Middle School. He's been working directly with the students to help them prepare for the concert. Once they're at the venue, they'll be performing with the music director that travels with the show. "He'll basically expect them to know the music so they can just put it together with the bands," he says. Lovell says once he looked at the music, he knew he had some students who could play it well. "I think chamber music is a really valuable thing," he says. "I think it will really help these kids because very few of them have probably done this kind of thing before, especially in the high school level. "These kinds of things, they don't roll around a whole lot. But when you get an opportunity to do it, it's a lot of fun." Beatles vs. Stones, A Musical Showdown will take place at the Wichita Orpheum theater on Tuesday, Jan. 22, at 7:30 p.m.
Fifty years ago, on Feb. 7, 1964, The Beatles touched down at JFK airport. 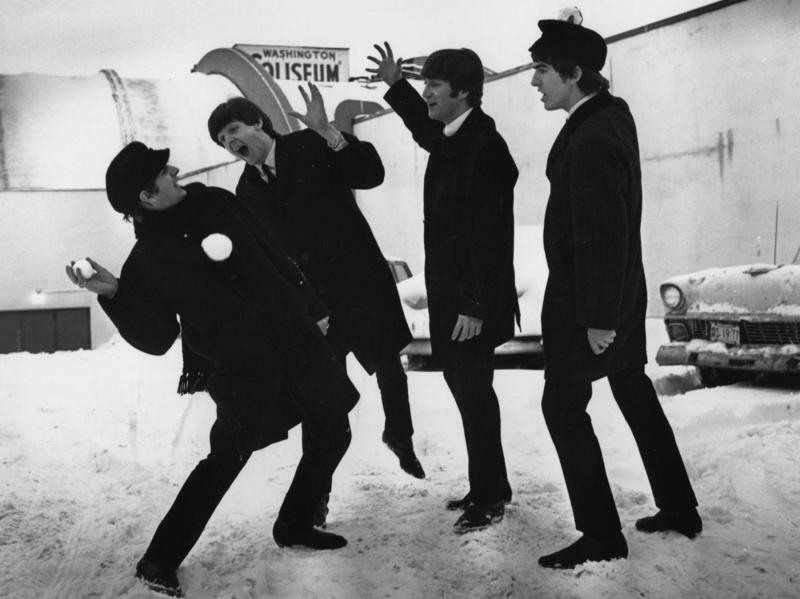 Two days later they broke TV viewing records and changed music, fashion, history — and basically an entire generation — when they appeared live on The Ed Sullivan Show. 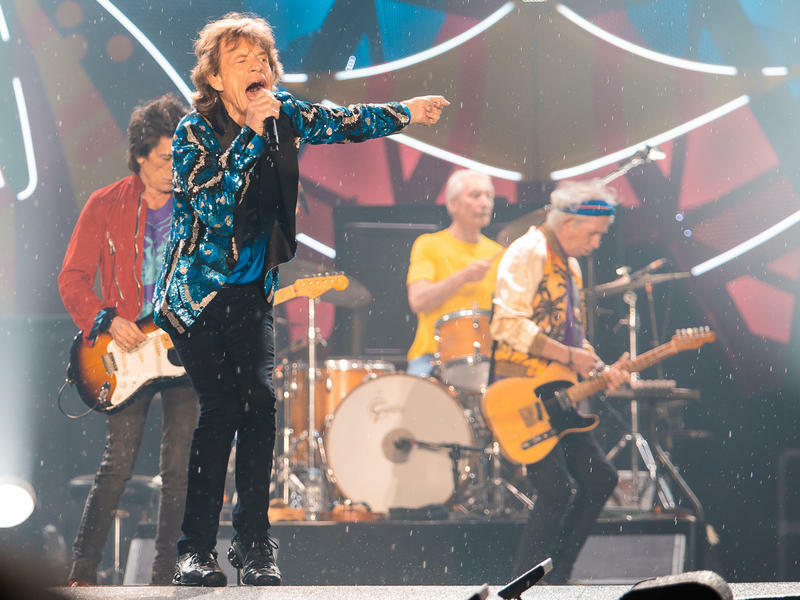 Havana will meet the Rolling Stones later this month. The band has announced they'll play a free open-air concert in the Cuban capital on March 25. That will make them "the most famous act to play Cuba since its 1959 revolution," the Associated Press reports.